CRAZY COOL GROOVY!!! : 2017 HEISMAN HOPEFULS Have IMPRESSIVE CREDENTIALS!!! 2017 HEISMAN HOPEFULS Have IMPRESSIVE CREDENTIALS!!! 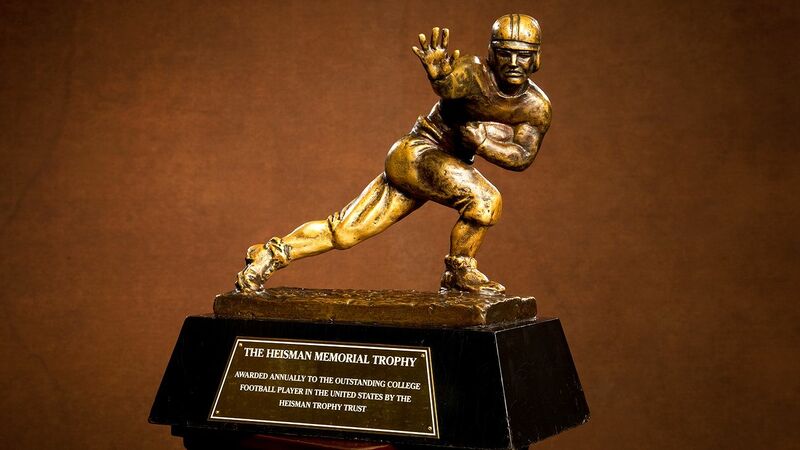 Awarded annually by the HEISMAN TROPHY TRUST COMMITTEE, The HEISMAN TROPHY is the most coveted award in all of college football. and; perhaps the most famous award in ALL of COLLEGE SPORTS!!! Led by LOUISVILLE CARDINALS Quarterback #8 LAMAR JACKSON, check out the TOP 5 HEISMAN TROPHY HOPEFULS 2017 - USC Quarterback #14 SAM DARNOLD, PENN STATE NITTANY LIONS Running Back #26 SAQUON BARKLEY, OKLAHOMA SOONERS Quarterback #6 BAKER MAYFIELD, and; ALABAMA CRIMSON TIDE Running Back #9 BO SCARBOROUGH.